This Miraculous Puja is for Happiness, Peace, Prosperity and Fame.Many devotees did this Puja and got their wishes fulfilled. 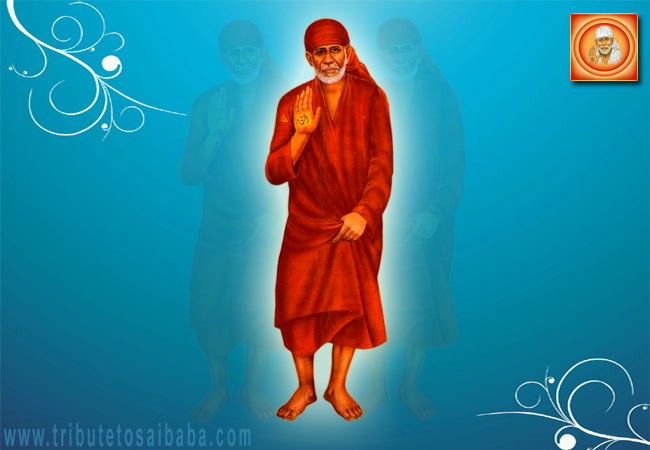 Sri Sai baba always said that “how strong your belief is that great the results of the prayer will be”. Also difficulties and doubts finally bring true faith in us; everyone has to go through a lot of struggles in life. If we have strong faith in baba and pray to him with devotion, we will get good results. · One should do this Divya Puja on Thursday. · Do not fast while doing this Divya Puja. Eat your meals. Baba does not like anybody fasting. Before doing the Divya Puja take a white piece of cloth, the size of your palm. Put it in turmeric water and dry it the prior day. Begin the Puja on the Thursday Place baba idol or photo on a new piece of cloth in your shrine. Put chandanam and tilakam for baba. Based on your shradha and financial capacity make a mala of sweet scented flowers and put it for baba. Offer lamps with ghee. Offer Agarbathi and dhoop. Keep Lord Ganesha idol or photo or any other god’s photos along with Baba while doing this Puja. Put 1 rupee or dollar coin in the turmeric piece of cloth and tie it. Tell baba your wish and do sankalpa to do the Puja for 5, 7, 11, 21 weeks. Keep this next to baba. You need to tie the rupee in the cloth only on the first Thursday you begin the Puja. · Om Sri Sai Sathya Dharma Parakramaya Namaha. According to your wish you can distribute 5, 11, 21, 51 or 101 books. I'm very happy to share my experience. Realy baba is great,I'm also doing sai divya pooja 11 weaks for my marriage, now i'm 25 years old i could not get marriage i'm so feel bad, so i pray for baba and do this divya pooja,i pray to baba before fenishing sankalpa pooja i want to get any alliance, at the same beginig of this pooja i put 2chits one is before 11 weaks i get alliance another one after i get, I select chit that is before pooja i get alliance. i started this pooja on july 30.today i fenished this pooja 15 september,i get alliance on 14 september i pray everyday to baba with tears,last weak also i feel very sad pooj will be come to end why baba is not responds me like that, but now he help for me i'm so happy. Really baba is very very great still he is living inthis world. He need only belive that is it. I believe baba thanks to baba.